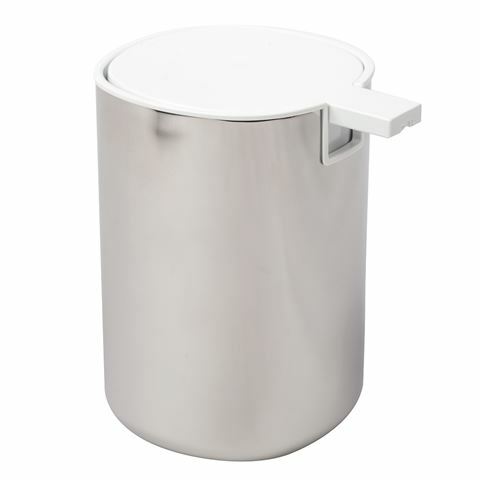 You can always rely on Alessi to deliver stylish items for your home - just like the Birillo Steel Soap Dispenser. Featuring a straightforward yet stylish stiainless steel design, it's the perfect way to keep your soap where you can easily access it. Make sure you don't miss out on this fantastic item from Alessi. Made from acrylic and mirror-polished stainless steel. Press on lid to dispense liquid soap. Lid simply lifts off to refill inner chamber.